Co-ownership is when two or more people own an undivided share in the same property or properties. While co-ownership has its advantages, nothing good can come out of a dispute between the co-owners, since this will more often than not lead to an unused property, with the owners missing out on the fruits which can be derived from the property while risking damages being sustained to it. No person may be forced to remain in community of property with others. Consequently any one of the co-owners may ask the First Hall, Civil Court to order the division of the property or its sale by auction. The procedure applied for the dissolution of co-ownership depends on whether the property or estate is divisible between the co-owned shares or not. This determines whether the court will order a division or whether the property will be sold by judicial auction. Consequently, a court appointed architect must examine whether the property can be conveniently divided without causing any of the owners’ undue prejudice. The architect’s report will effectively determine the nature of the court case. If the property or estate is comfortably divisible between the co-owners, then the court, with the help of its architect will divide it into a number of lots reflecting the shares held. If it is not, then the court will order the sale of the property by judicial auction, with the proceeds of the sale being divided pro rata among the owners according to their respective shares. In cases where the property is divisible, the law allows the parties to agree on a plan of division. However, in case of disagreement, the court architect will come up with a division plan and this after appraising the property or estate. Co-ownership does not necessarily mean that all co-owners have an equal share in the property and therefore any division must reflect any such discrepancies. When the shares are equal, the division is simple. The estate is divided into lots having an equal or similar value. Any discrepancy in value is set off by a payment which reflects the difference in price. The lots are subsequently drawn by chance and each co-owner is assigned a lot. On the other hand, when the shares are unequal, logically the properties assigned to each co-owner must reflect the share each co-owner has, the bigger the share, the bigger the value of the lot. Because of this, the law grants to the court the power to assign properties to reflect the difference in ownership. However, if the partition of the properties or estate is impossible because of the discrepancies in shares, then the court will order the sale by licitation. A division is a form of property transfer, since each co-owner will be transferring his undivided share in the property not assigned to him to the other owners, while receiving the other owner’s undivided share in the property assigned to him and therefore ultimately becoming the full proprietor of that property. Consequently, a division requires a public deed published by a notary. 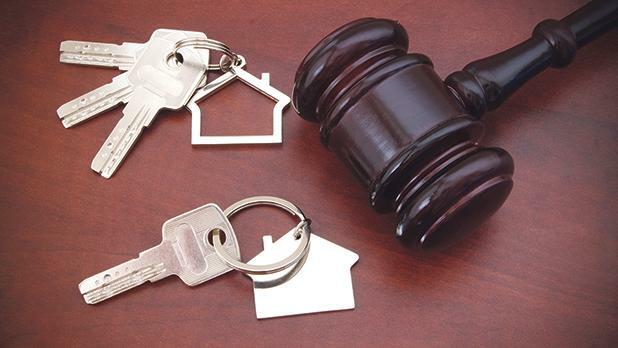 If the property held in common is not the divisible, then the court will order the sale of the property by licitation, that is by judicial sale by auction, a process which follows the same rules and procedures of a normal sale by judicial auction, with the proceeds of the sale subsequently divided between the owners according to their respective share. A judicial sale by auction may also be ordered by the court in cases where the division of an estate into lots would leave surplus properties. In such circumstances, each owner would be assigned a lot, and at the same time the surplus property will be sold by auction and the proceeds divided. A judicial sale, however, does have its disadvantages and risks. Apart from the costs of the procedure, the biggest risk faced by the co-owners is having their share sold for 60 per cent of its value since that is the starting price established by law. An agreement between the parties for a normal sale is always advisable, since a judicial sale leaves the owners with absolutely no bargaining power and effectively their income will depend on the number of bidders present during the auction and on how high they are willing to bid. A sale by licitation, apart from being the only procedure available for a co-owner wishing to force the acquisition of the remaining shares in a property, is also ideal for any co-owner interested in buying the property himself, and this because, on the one hand, the co-owner may end up buying the remaining shares in the property at a reduced price should no one else bid, and on the other hand, if the bids made are on the high side, the co-owner would only overpay on the remaining shares and not on the full property. Even though, in a sale by judicial auction, there is always the risk that a third party offers more for the property than a co-owner wanting to buy, and would therefore be the one acquiring the property, the risks for an outbid to co-owners are minimal, since effectively he would still be receiving a sum for his share which would be higher than he would have been willing to bid for the remaining shares and therefore higher than what he valued the property. Co-ownership and the solutions for its resolution depend in the will of the parties. While it is always in everyone’s best interest to find an amicable solution, no co-owner can be forced to remain in co-ownership against his wishes, and therefore, the termination of community is inevitable, irrespective of whether it is ended by agreement or by a court judgment. Daniel Buttigieg is a senior associate at Fenech & Fenech Advocates specialising in property law and dispute resolution.